That is Patrick on the left, and thats me, Kevin on the right. I met Patrick whilst cycling around the world a few years back. 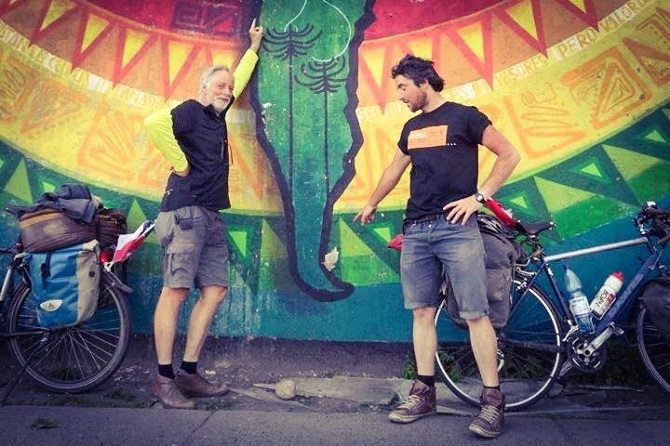 Since meeting in his home country of Belgium, we have cycled Turkey, Central America, Argentina and Chile together. Patrick is arguably crazier than myself, but an inspiration for those who rhyme off 'I'm too old to do that' and 'I would if I had the time'. Making time for what he loves, he has invited me to join him on his tour on 2 wheels from London, England to Sydney, Australia. We will document each pedal stroke on this website through photos, videos and a fancy and smooth map & timeline... All I can say is, I hope we are still friends after this, ha!